Leptospirosis is a type of bacteria that dogs can pick up from wet, marshy areas or standing water and from eating rodents. The bacteria can either be ingested (from drinking it, from licking paws, from eating infected critters) or it can be transmitted through some type of wound (a small, unnoticed cut on a paw, for example). It results in a disease that causes liver and kidney failure. It can also be transmitted from dog to human through blood or urine. In humans, the most common symptoms are fever, headache, chills, muscle pain, and in the most severe cases, liver and kidney failure. In the past, we have included the vaccine for leptospirosis in our distemper combination vaccine (the L in DHLPP). This has never provided great protection, but lepto is one of those diseases that doesn’t get that much attention. There are a bunch of different variations of it (similar to the flu) and the vaccine only works against specific strains. It also, in combination form, only lasts for about six months. We prefer to vaccinate dogs with the DHLPP vaccine every three years, so we have really not been protecting our at-risk patients. Fortunately, the vaccine has been improving over the years. Because of this, we are now able to offer vaccine protection that lasts a full year. But this means giving it as a separate vaccine, which is why we are changing our protocol a bit. Instead of vaccinating all dogs (except those who are sensitive to it– leptospirosis is the most common offender with regards to vaccine reactions) regardless of risk and not protecting them for very long, we will now only be vaccinating dogs who are at risk of contracting the disease. These are dogs who are exposed to wet or marshy areas, ponds, standing water. Dogs who live on farms, who hike frequently, hunt, or camp are at increased risk. 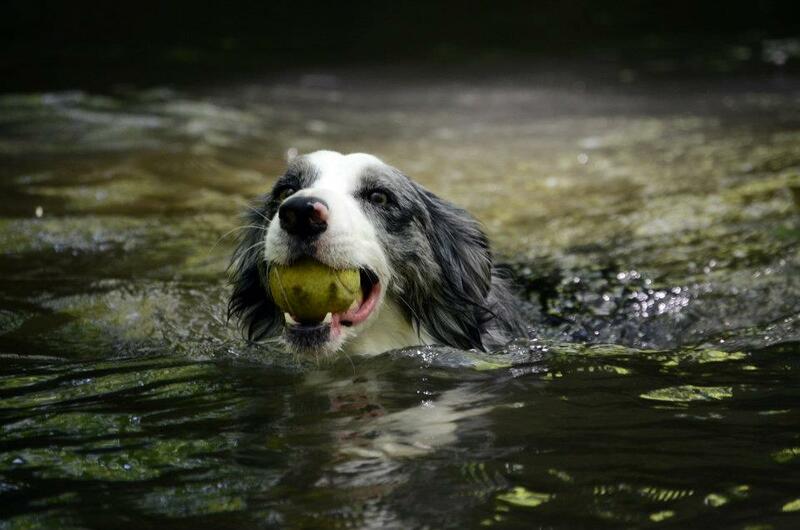 Dogs who have a lot of exposure to areas where wildlife is, especially if it’s a wet area, are at increased risk. Dogs who live in a highly urban environment where rats or other rodents may be a problem are at increased risk. These are the dogs who should be vaccinated against the disease. Dogs who live a comfortable suburban life, whose life consists of a manicured lawn and walks on sidewalks are at a much lesser risk, and probably do not need to be vaccinated. The new vaccine is given annually, and separate from the distemper combo. If your dog has previously been vaccinated with the lepto componenent in the combination vaccine, the new vaccine will not need to be boostered. For pups who have never been vaccinated against lepto, they will need to have the vaccine boostered in 3-4 weeks, and then it will become an annual vaccine. It gets to be a lot, all of these separate vaccines, but we are trying our best to tailor our healthcare to the specific needs of your individual pet. We don’t want to be given vaccines that aren’t needed, but we want to protect those pets who are at risk. If we can prevent a serious disease, especially one that can be transmitted from dog to human, we want to do that. If we can avoid giving unnecessary vaccines to dogs who really don’t need them, we want to do that too. We want to provide the care that best fits your pet and his lifestyle. Concerned that your dog should be vaccinated against leptospirosis? Give us a call at 665-2338 and any of our staff members would be happy to talk to you about the risk factors and help you make the right choice for your pet. Tags: DHLPP, dogs, lepto, leptospirosis, puppies, risk factors, vaccine protocols, vaccines, what vaccines does my dog need? What vaccines does your dog need? Vaccines are a popular and somewhat controversial topic on the internet right now, especially with the flare up of the potentially deadly parvovirus in Lancaster County. I think a lot of us take them for granted, but vaccinations are not a “one-size-fits-all” topic. At White Oaks, we try very hard to tailor our vaccine protocol to each individual pet to protect them from the diseases that they are at risk of being exposed to, but not overvaccinate them with things they don’t need. There are two vaccines that we recommend for all normal, healthy dogs. The first is the Rabies vaccine. This is the big one, because it is not only an animal health issue, but also a human health concern. We don’t hear a lot about rabies anymore in the United States, but it is still out there. The CDC provides some pretty interesting maps of reported rabies cases, and their cats and dogs map shows an awful lot of cat dots in our area. Most affected animals are wild ones, but it is not unheard of for those sick wild animals to come in contact with our pets. If our pets are not protected, that’s a huge risk to everyone in the household. Rabies vaccines are required by law for every dog 12 weeks and over, and there is a potential for a hefty fine if you do not comply. We recommend that dogs be vaccinated at 12 weeks of age, then again one year later. After that, as long as the vaccine is given on time, we vaccinate every three years against rabies. The second vaccine that we recommend is the DHLPP vaccine, which is a combination vaccine which provides protection against five different diseases: Distemper, Hepatitis, Leptospirosis, Parainfluenza, and Parvovirus. Distemper is a nasty virus that affects the nervous system. Fortunately, we don’t see much of this disease anymore because the majority of dogs are vaccinated for it. Hepatitis is a disease that affects the liver, Leptospirosis is a bacterium that can cause liver and kidney failure and which can be passed from pets to humans, Parainfluzenza is an upper respiratory virus that causes coughing and sneezing, and Parvovirus is a highly contagious virus that causes vomiting and diarrhea and can easily be fatal in puppies. We recommend that puppies be vaccinated every 3-4 weeks starting at six weeks of age and until they are 16 weeks old, again a year later, and then at two years. Like the rabies vaccine, the DHLPP vaccine then becomes an every three years vaccine as long as it is given on time. Then there are the optional “lifestyle” vaccines. These are the vaccines that we only recommend if the individual pet’s lifestyle suggests that they are at risk. Lyme disease is increasingly prevalent in our area, especially in the Mt. Gretna and Cornwall areas. Any dogs who live in areas where they are frequently picking up ticks, or who visit tick-heavy areas for hiking, hunting, or play should be vaccinated against Lyme disease. We always recommend a topical flea and tick product as a first line of defense because there are other tick nasties out there (Anaplasmosis is one we see from time to time), but the Lyme vaccine is important back up against a potentially debilitating and occasionally fatal disease. This vaccine is initially given as a two-part series administered 2-3 weeks apart, and then after that it becomes an annual vaccine for some dogs, and a twice-yearly vaccine for dogs who are at very high risk. We prefer to give annual boosters in the spring so that they are providing maximum protection during the warm months when ticks are most active. Kennel Cough, also known as Bordetella is recommended for any dog who is in an environment with a lot of other dogs. These are dogs who go to boarding kennels or groomers, who visit dog parks or doggy daycare, and who are attending any kind of puppy or obedience classes. Dogs who show or trial in any sport also risk exposure to kennel cough and should be vaccinated. All of the more popular boarding kennels in our area do require this vaccine annually for any dogs staying there, and the vaccine should be given several weeks before the dog’s scheduled stay. This vaccine is given anually for most dogs, and every six months for dogs at an even higher risk. Canine Influenza is another vaccine required by some boarding kennels in the area. It is a newly emerging disease, so most dogs in the population have zero immunity to it- their immune systems have never seen it before. This puts all dogs at risk of contracting it. Like kennel cough, Canine Influenza causes coughing and sneezing, but in rare cases, this disease can develop into pneumonia and potentially even be fatal. Lancaster County did see a flare up of this disease that included several deaths during the summer of 2012, but it seems to have disappeared again. We did not have any confirmed cases at our hospital. This vaccine is potentially recommended for the same crowd of social butterflies that we recommend receive the Kennel Cough vaccine- those who are boarding, grooming, visiting dog parks, or simply going places where they are around a lot of other dogs. The Canine Influenza vaccine is initially two vaccines given 2-4 weeks apart, and then is given annually. A Facebook reader asked about the Rattlesnake Vaccine. That one is not common in this area, although I know it is used some in the Southwest where rattlesnakes are much more likely to, say, be chillin’ in your backyard. We do certainly have venomous snakes in this area (I nearly had a nervous breakdown once while hiking with my dog when I looked down and realized he was standing less than six inches from a big fat Timber Rattlesnake), though they are uncommon. The best protection for our dogs is for us to be aware that snakes are out there and to keep dogs leashed while hiking and out of areas where snakes may be lying hidden. Any dog bitten by a venomous snake will require immediate medical attention, vaccinated or not. That covers all of our canine vaccines. As always, if you have any questions about your individual pet’s needs and risks, give us a call. We can certainly talk to you about what vaccines are necessary and which are maybe not so pressing. We just want to do everything we can to keep your pet safe and healthy and to give all of our clients the information that they need to make the best decisions for their own pets’ well-being. The end of the road: contemplating euthanasia. Rescue vs breeder: which is right for you? What dog breed is right for you?